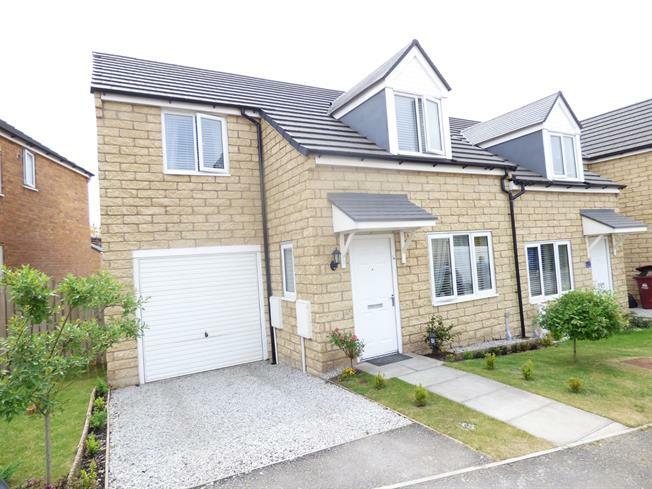 3 Bedroom Semi Detached House For Sale in Burnley for Asking Price £130,000. This beautifully presented deceptively spacious semi detached family home, located on a modern development must be viewed to be appreciated. The gorgeous accommodation comprises entrance hallway, spacious lounge, modern dining kitchen and WC on the ground floor. Three fantastic well proportioned bedrooms and bathroom on the first floor. Attached garage, driveway parking, delightful gardens to the front and rear. 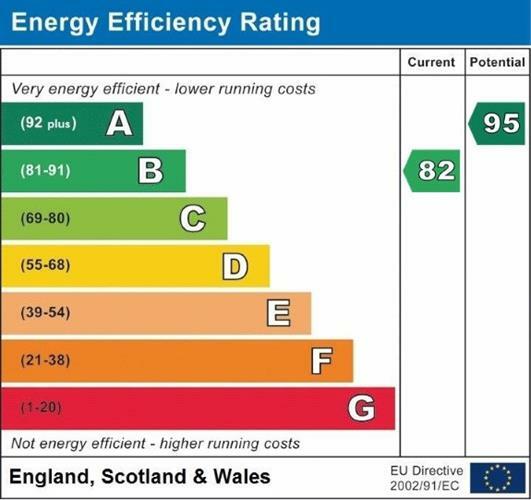 The property has been further improved since being built in 2015, by way of thermostatic shower, tiled flooring and additional electric sockets. Entrance is gained at the front of the property into the hallway. Double glazed uPVC window facing the side. Radiator, tiled flooring, ceiling light. Access to the lounge and stairs leading to the first floor. A lovely spacious, light and airy lounge area. Double glazed uPVC window facing the front. Radiator, tiled flooring, ceiling light. Under stairs storage and access into the dining kitchen. French double glazed UPVC doors opening onto the garden. Double glazed uPVC window facing the rear overlooking the garden. Radiator, wall mounted boiler, ceiling light. Roll edge work surface, fitted wall and base units, stainless steel sink with mixer tap and drainer, integrated electric oven, integrated gas hob, over hob extractor, space for washing machine and fridge/freezer. Access into the WC. Radiator, tiled flooring, ceiling light. Low level WC, wash hand basin, extractor fan. Loft access. Ceiling light, access to bedrooms and bathroom. Double glazed uPVC windows facing the front and rear. Radiator, ceiling light. Double glazed uPVC window with obscure glass facing the rear. Radiator, part tiled walls, ceiling light. Low level WC, panelled bath with mixer tap and shower head, additional thermostatic shower over the bath, pedestal sink, extractor fan and shaving point. An attached garage with up and over door to the front, external door to the rear leading to the garden and electric sockets. To the front a garden area with two laid lawn areas and planted shrubs. To the rear a delightful enclosed private garden with laid lawn, paved area, planted borders, fenced surround, outside tap and access to the garage.